The blue and white shimmering stones compliment the attractive patterns sliced on the remaining circumference of the bangle molded from gold plated brass metal. The gorgeous peacock bangle exhibits unparalleled beauty with the exquisite stone work that adorns the wings of the peacock places at the head of the Read More..bangle. 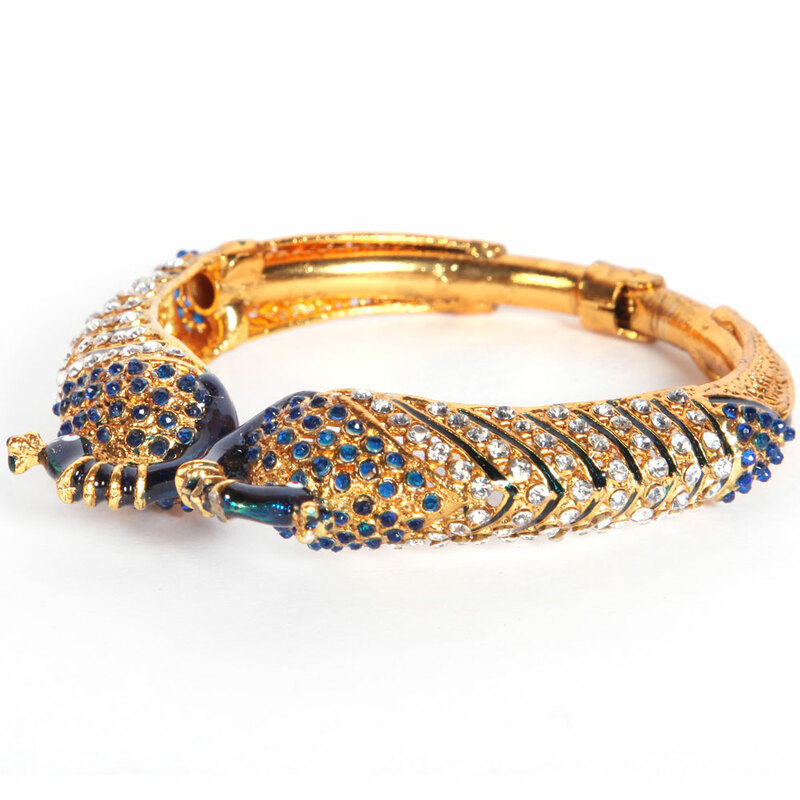 The blue and white shimmering stones compliment the beautiful patterns carved on the remaining circumference of the bangle moulded from gold plated brass metal. Show Less..